The internet of things (IoT) industry has seen 3,580 investors and $79B total all time funding. 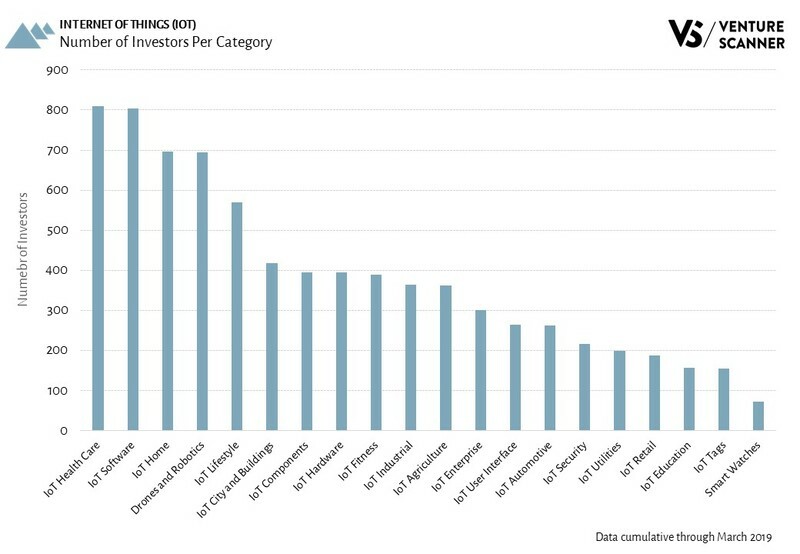 Let's analyze which IoT categories have the most number of investors actively financing the startups. The graphic below highlights IoT categories based on the number of investors in each category.